This entry was posted on 8th November 2018 by Paul. We might be hearing more about our often taken for granted staple grains in the near future. Poor harvests in Europe brought on by severe drought conditions this summer are likely to have an impact on the price of this normally cheap commodity. 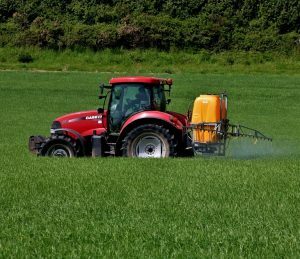 Another thing making headlines recently are concerns around the exuberant use of chemical sprays in cereal production. Particularly, the use of glyphosate as a pre-harvest treatment. This is the tip of the iceberg. I noted at a talk from a tillage expert which I attended recently that there are 380 herbicides registered for use on wheat alone here in Ireland. No doubt controlling weeds in cereal crops is a major challenge for farmers. Without herbicides (as well as all the pesticides, fungicides, plant growth regulators and artificial fertilizers routinely used) the work is more challenging and the yields will be lower. I think we have to settle for lower yields and pay a bit more for clean and sustainable food. A way to offset the necessary extra cost of organic grains is to extract the most nutrition and flavour from them. This is something we might be as well to take into our own hands as, for some decades now, industrial milling has been depriving flour of much of its nutritional quality for the monotonous goal of extending its shelf life. Cereal grains are evolutionarily designed to lock up nutrients and compounds in a stable and inactive state until the right conditions for germination are present. As such, these seeds have become invaluable long term storage vessels for nutrients that sustain people and is why seed crops like wheat, maize, rice, barley and rye have become staple foods in much of the world. 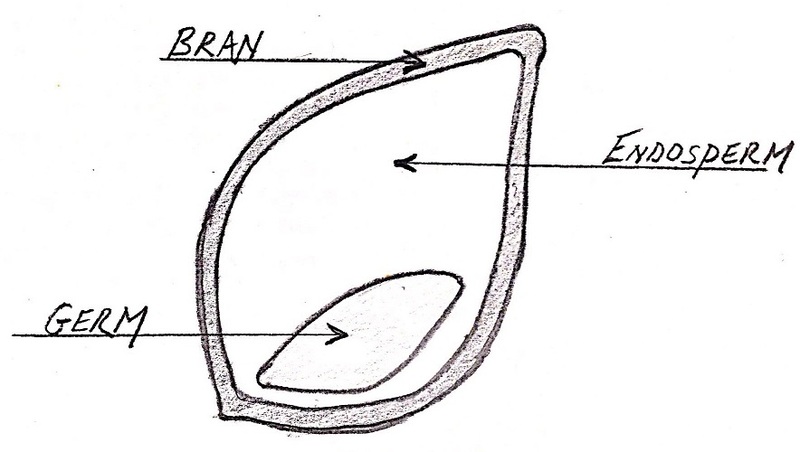 An intact grain keeps its various parts separate and enclosed from the elements. These basic parts are threefold: the germ, the endosperm and the bran. Bran - Outer layer rich in fibre and containing B vitamins and minerals. Endosperm - Energy rich carbohydrates and proteins. Germ - Nutrient dense core containing healthy fats, vitamins and antioxidants. The same resilient quality which stores nutrients so well also makes those nutrients difficult to access. Being resistant to degradation by bacteria, fungi and other organisms looking to get into these little larders means they are also not easy to digest in their seed state for us too. Crafty humans have developed processing techniques to coax and transform these grains into digestible and delicious creations. One of the primary ways we do this is through a combination of grinding, fermenting and baking. Archaeological finds have pushed evidence for the first bread back to around 13,000 years ago. However, the peculiar fad seemed to really take off 9,000 years ago during the Neolithic period when some hipsters started to domesticate wild wheat and barley creating agriculture in the process. 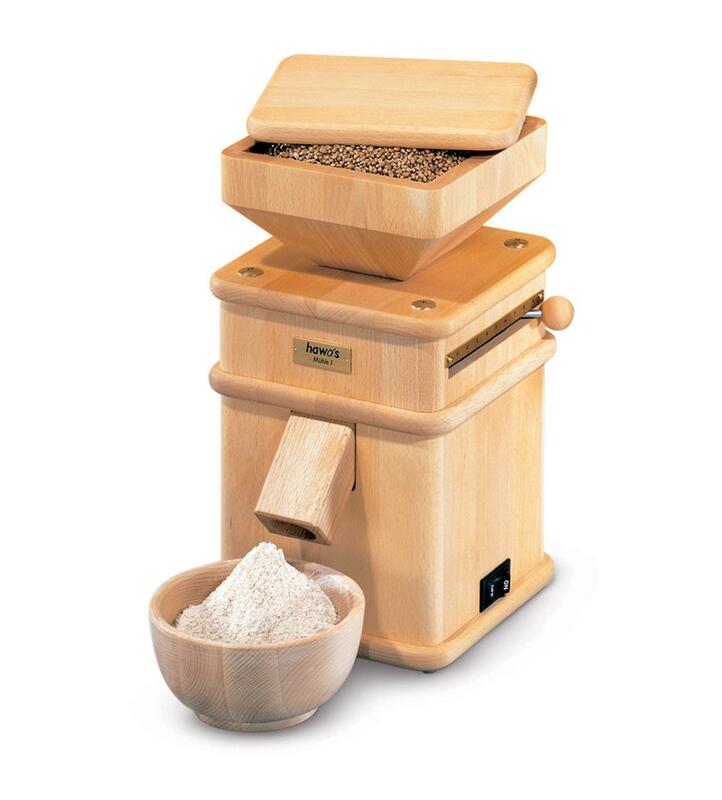 The grinding, or milling, of the grain into flour is the first part of this process. Milling the grain releases its contents to the elements. Things like water, yeast, salt, time and heat can then be added to the equation to set off a cascade of chemical reactions that go to work on the mix and transform it into something delicious and nutritious. Once flour is produced the constituent parts of the seed are no longer stable. The germ, which is the most nutritious part, will start to deteriorate and go rancid quickly. This is why it is usually removed from mass produced flour so that the shelf live can be greatly extended. This brings us lovely snow white flour (the endosperm portion of the grain) at the loss of valuable nutrients. Testament to the fact that this diminishes the nutritional quality of the flour is that it was made compulsory for millers to add back in artificial vitamins and minerals to white flour - hence ‘fortified' flour. 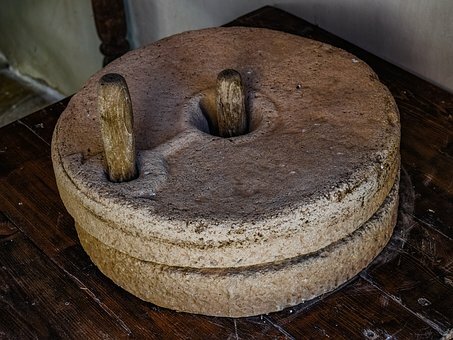 There are generally 2 types of milling: stone and steel roller based. 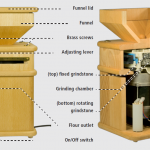 In an industrial milling system, the grain passes through a series of rollers which cleanly separate the husk, germ and endosperm. 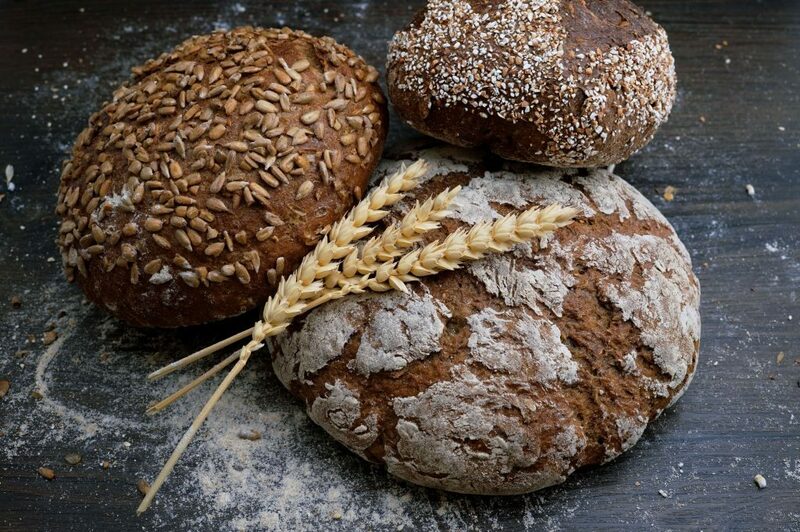 These are then processed separately and if a wholemeal flower is to be made a proportion of bran and germ are mixed back into the white flour (or not - often millers have omitted the germ from ‘wholemeal’ flours to increase the shelf life greatly. Historically, flour is one of the most adulterated foods traded. This still happens as terms with no legal grounding like ‘wholegrain’ are roundly abused). The rollers also get very hot which is said to damage some important nutrients before they even make it the flour stage. Stone milling has some advantages. The grain is not heated up so nutrients are not lost in the milling process. More importantly, the constituents of the grain never get separated from each other. In other words, wholegrain in and wholegrain out. If white flour is required, this wholegrain flour is sifted to remove the bigger bits of bran and germ. However, having been ground with the oily germ, the ground endosperm will have absorbed some of its nutrients. This, and the fact that stone ground ‘white’ flour contains some fine bits of bran and germ (those fine enough to make it through the sieve) means that is usually actually beige in colour and is more nutritious and richer in flavour than generic white flour. The good oils from the germ are what give whole flours relatively short shelf life as they go rancid and produce off flavours over time. Crafted with an emphasis on a long lifespan. With this in mind, the design is kept simple with easy to understand engineering the mills are simple to use, clean and maintain. Backed up by a 10 year warranty. Made from wood (birch and beech) harvested from PEFC certified forests in Austria. Adjustable over 9 settings. 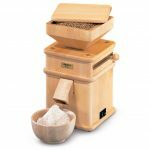 This is important so you can determine the fineness of the flour and because the different types of grain and seed you can grind with the mill will vary a lot in their composition. Spare stones always available. However, in 15 years selling these mills nobody has needed to replace them. The stones are good for 20 tonnes of flour! 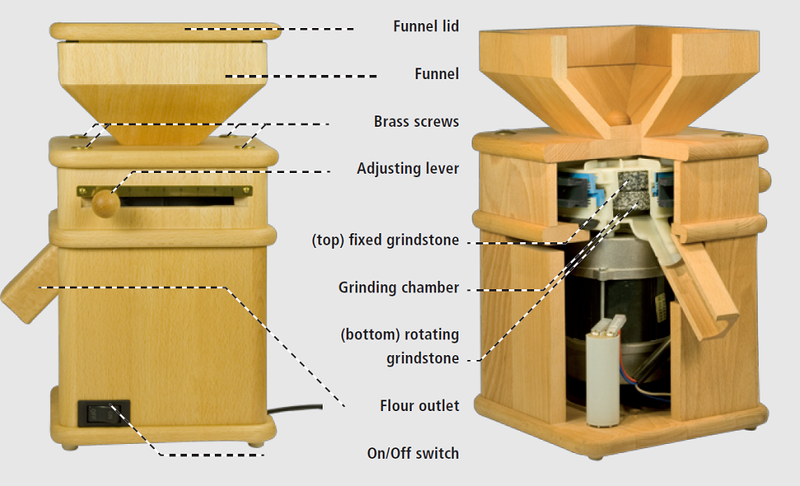 Integrated brush in the bottom rotating grindstone - this sweeps out the flour with every rotation thus automatically cleaning the mill. Range of sizes. The mills we stock are suitable for families. Larger mills are also available. Please contact us if interested. 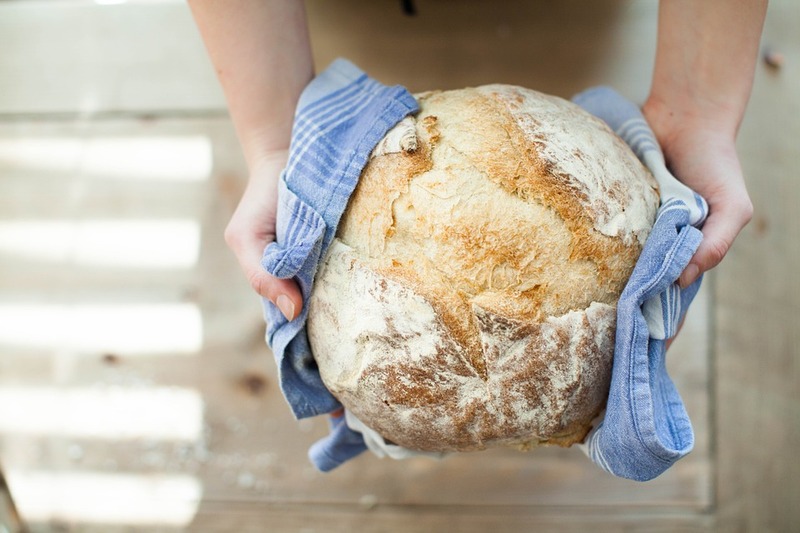 If you are interested in bread without the slew of 'artificial additives' and 'processing aids' typically used, check out the real bread campaign who are working hard to fix legislation which allows misleading bread labeling and to promote real nutritious bread generally.